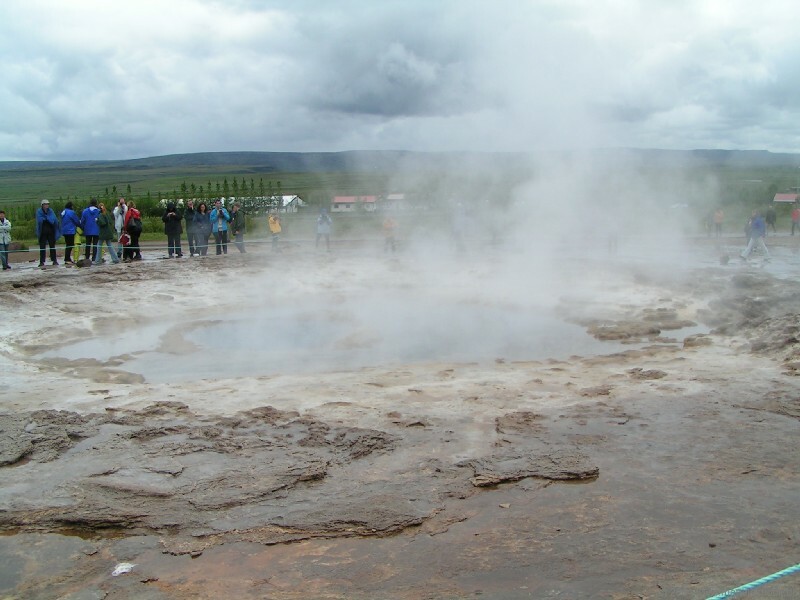 On arrival at Keflavik Airport, your private driver will greet you and transfer you to your hotel in Reykjavik. After settling in, the rest of the day is free for you to explore the vibrant city centre and its many museums, restaurants and bars for all tastes. If you're interested in checking out Icelandic design or experiencing the city's thriving coffee culture, head to the main street, Laugavegur, to enjoy its various shops and cosy cafes. 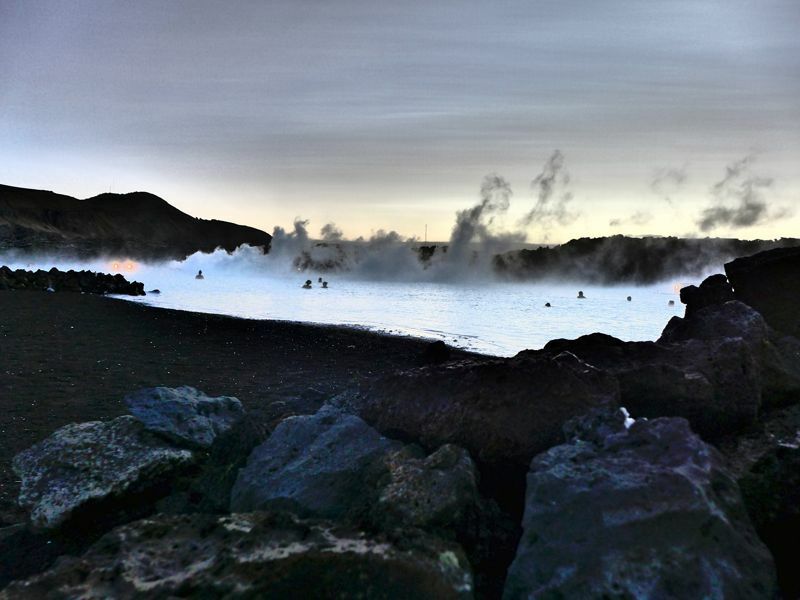 Spend the night in Reykjavik. Depart from Reykjavik Domestic Airport for your flight across to the Arctic village of Ilulissat, beautifully situated at the mouth of the iceberg-filled Ilulissat Icefjord—a UNSECO World Heritage Site. On arrival, you will be transferred to your accommodation in town. 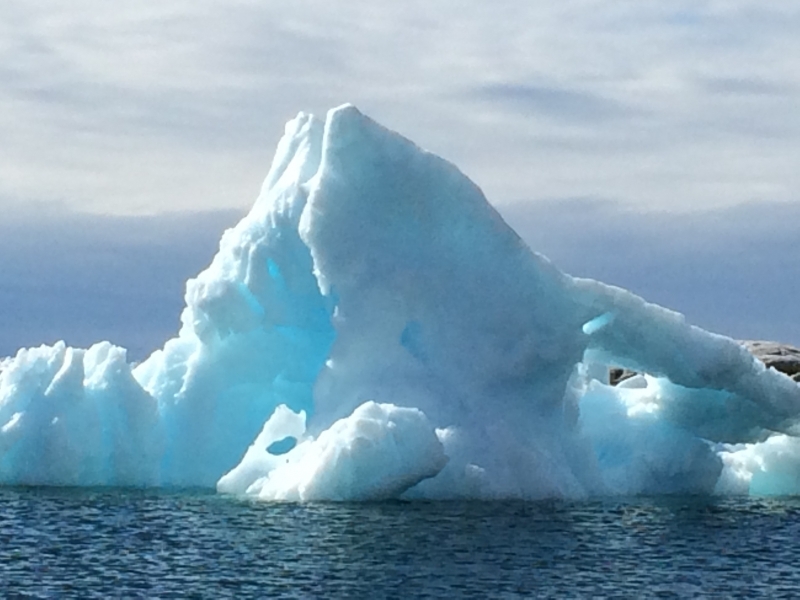 Spend the next three nights in in Ilulissat. In the early part of the day, you will have some time to relax or do some last-minute souvenir shopping. Then you will be transferred to the Illulissat Airport for your flight to Iceland. 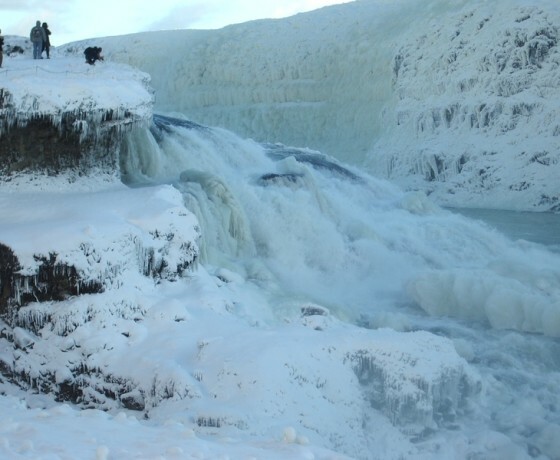 Spend the next three nights in Reykjavik. 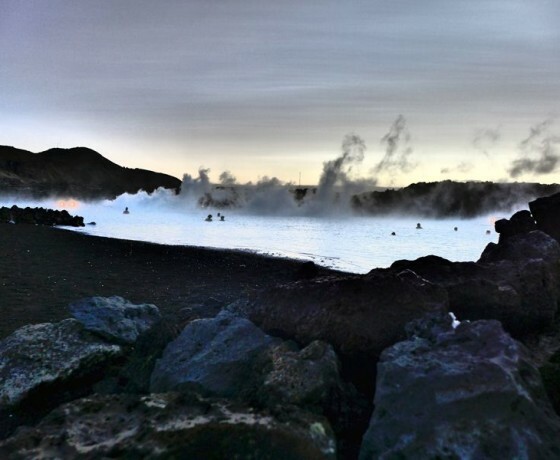 Spend the early part of your day in the soothing mineral waters of the Blue lagoon, a geothermal spa surrounded by a stunning lava field on the Reykjanes Peninsula. 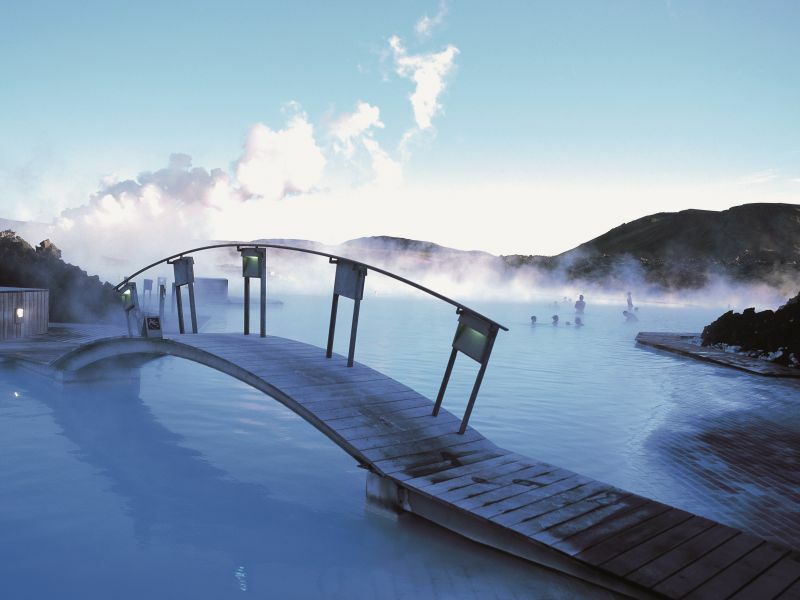 Here, you will be treated to a 30-minute in-water massage by a Blue Lagoon therapist. 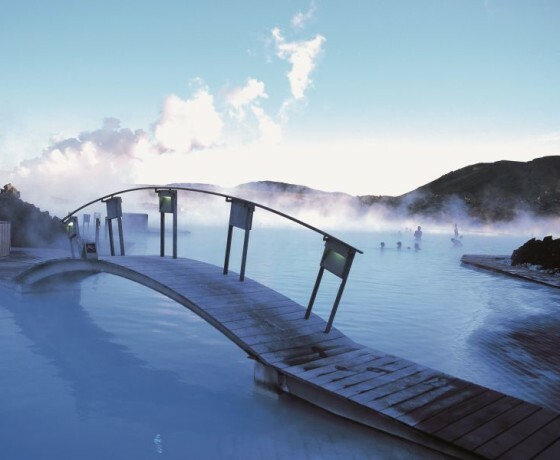 Afterwards, enjoy the lagoon, sauna and steam rooms as you wish before heading back to Reykjavik, where you can spend the afternoon at your leisure. Later, after an early dinner, you will be picked up at your hotel for a super-jeep adventure into the countryside, where you may get to experience the magical wintertime phenomenon known as the northern lights. Your expert guide will take you off the main roads and into mountains, far from the glare of city lights. * *Please note that the northern lights are a natural phenomenon and sightings cannot be guaranteed. 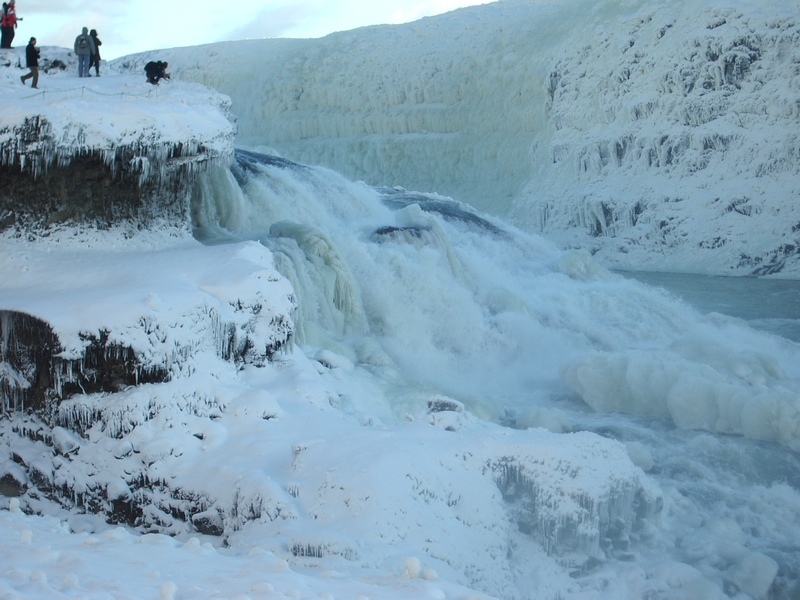 Today’s guided super-jeep safari takes you to the Golden Circle, a route containing some of the country’s most famous attractions. The first stop is Þingvellir National Park, the site of Iceland’s ancient assembly grounds and the continental rift valley. 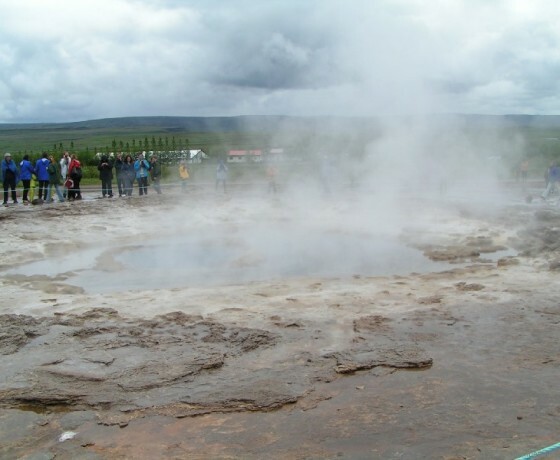 Next you’ll see Geysir, the original geyser, as well as its more active neighbour Strokkur at the Haukadalur geothermal area. 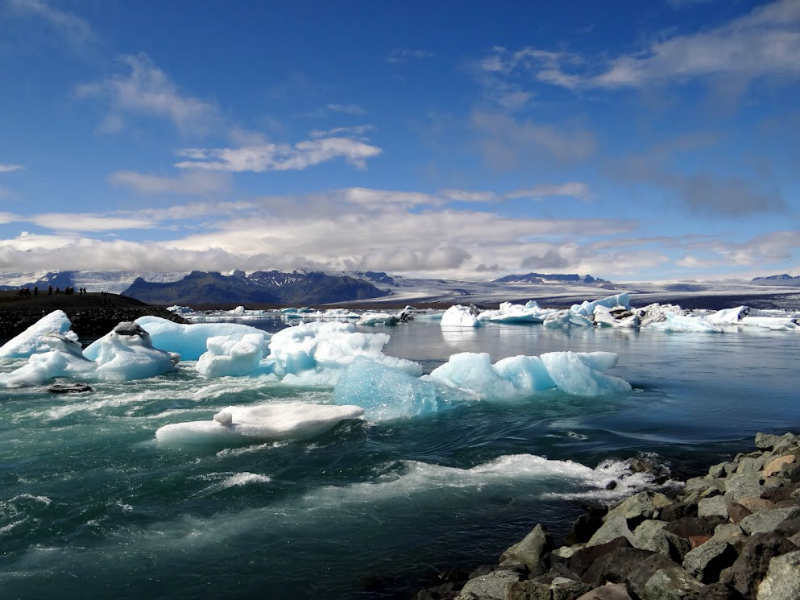 Then, following visits to the Gullfoss waterfall and the Kerið implosion crater, the last stop of this excursion is the Langjökull glacier, where you will experience a thrilling snowmobile tour. On return to Reykjavik, enjoy the rest of the evening as you wish, perhaps with dinner at one of the city's gourmet restaurants. Today it’s time to head home after this wonderful getaway in the North! 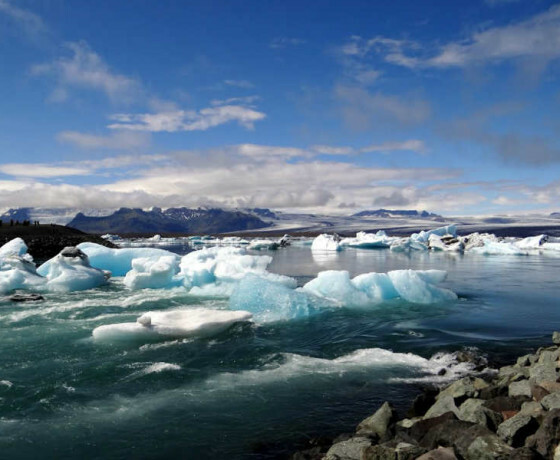 If your flight is in the afternoon, you have the option of taking a short guided tour of the Reykjanes Peninsula (not included) on your way to the airport. Private transfer is provided to Keflavik Airport in time for your departure flight. I visited many tour organisers five months before & then we compared & in the end I contacted Mech journeys for Europe for 15 days At the time of discussion we were only 05 couples latter on finally we were 11 couples.